SALT LAKE CITY (May 5, 2015) — The Utah Attorney General’s Child Protection Division, usually an under-recognized team of 37 assistant attorneys general, 19 paralegals and additional support staff members, received the Governor’s Award for Excellence for Outstanding Public Service today at a ceremony in the State Capitol Rotunda. The division works in tandem with Utah’s Division of Child and Family Services (DCFS) to ensure safe living environments for children, while also respecting parental and family rights. The Child Protection Division is a team of experienced child abuse prosecutors and their legal assistants, stationed around the state, to seek judicial protection for a child who is in imminent danger of abuse or neglect. The work of the division takes place out of the headlines in the privacy of the juvenile court system. The focus is on immediate protection of the child and strengthening, whenever possible, families in crisis to eliminate abuse and neglect in the home. Since taking office, Attorney General Sean Reyes has held numerous meetings with child protection advocates, parental and family rights defenders, legislators, and many others who have a stake in child protection issues. 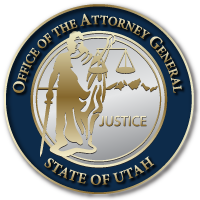 Under his guidance, the Attorney General’s Office has new division leadership and places increased emphasis on long term solutions that assure that the evidence is clear, of abuse or neglect, and that proper legal processes are followed whenever the state decides to intrude into the privacy of a family in order to protect a child and then the least intrusive means possible are employed when intervention is required. Obtained warrants, attended Child Protection Team meetings, filed petitions, prepared and served discovery and then attended 1,444 shelter hearings, 97% of which were held within 72 hours of removal of a child. Prepared for and attended 1,774 pretrial hearings 98% of which were held within 14 days of removal.of a child. Prepared for and attended 1,714 dispositional hearings, 96% percent of which were held within 30 days of the adjudication. Prepared for and attended 1,239 permanency hearings, 95% of which were held within 12 months of removal the child. Prepared for and attended another 306 permanency hearings in which the court ordered no reunification services to the parents and 92% percent of those hearings were held within 30 days of the court’s order of no reunification. Litigated 419 petitions to terminate parental rights. Defended 41 appeals from orders terminating parental rights. In addition to the cases in which a child was removed from the home, they screened, filed petitions, served discovery and attended hearings in 1,343 protective supervision services cases, (cases in which the court takes protective jurisdiction over a child while still in the home) in 97% of these they attended a pretrial hearing within 15 days of filing and adjudicated the petition in 95% of them within 60 days of filing. They attended 1059 mediation sessions. They also attend review hearings at the rate of approximately 2 annually in every one of their juvenile court cases, they litigated about 100 administrative and judicial hearings regarding the removal of a name from the DCFS child abuse registry, they appeared in delinquency hearings in which the court places a juvenile delinquent in DCFS custody, and they defended appeals from court orders other than those to terminate parental rights.